Scenes from Amsterdam – the Aepjen. 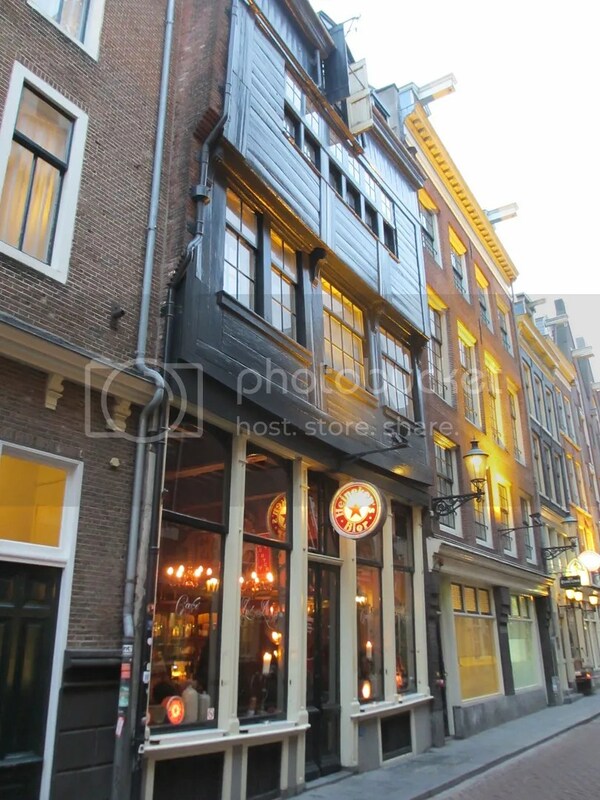 This is one of only two remaining wooden buildings left in Amsterdam. This one is up on the Zeedijk (translated “Sea Wall”). After massive fires swept through in 1452, the town fathers realised that brick didn’t burn as well, and the rest is history. The only other wooden building in Amsterdam is in the Begijnhof Court.